The wearables market seems to be growing every passing moment! According to a report, approximately 46.2 million wearables were shipped out for the year. Wearables market growth of 31.4 percent in the last quarter of the year 2018 was also reported by the firm, where shipments contributed to about 172.2 million (a 27.5 % growth in percentage). The Apple wearable market maintained its Number 1 position by shipping 16.2 million wearables. 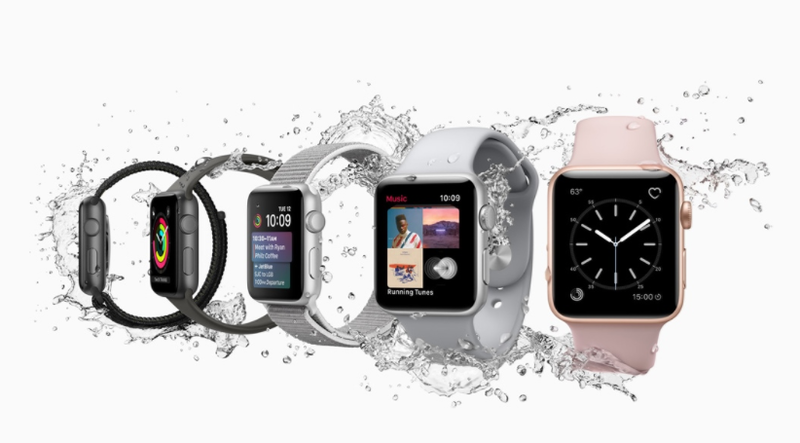 The apple watches only made up about 10.4 million in number. Where the market for smart watches grew by 54.3% in the year 2018 (29.8. % of wearables), the Apple watches were responsible for half the number of sales. And the number will be higher still IDC confirms due to the more advanced Apple Watch Series 4. Moreover, ever since IDC has revised its “ear worn wearable” category, wire free earphones that connect to a smart assistant through word detection or the touch of a button, devices like Google ‘s Pixel Buds, Apple’s Air Pods are now included in this category. The new additions contributed significantly to the increase in wearable sales! The fourth quarter of 2018 also saw a 66.4% growth for ear worn devices and captured a market share of about 21.9 %. The sales can be attributed to both, absence of the headphone jack in new launches and also increase an increase in the trend of smart assistants. Experts suggest that the future will bring a further increase in the wearable’s market. Due to the exclusion of headphone jacks from recent releases, these wearables may become increasingly important. Moreover, the increased reliance on smart assistants has provided sellers with a vast consumer market! 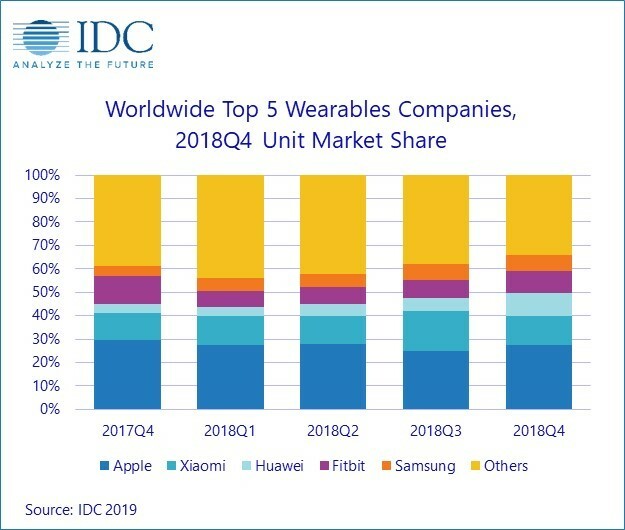 According to data collected by the IDC, the smart watches captured a market share of about 34.3% whereas wristbands captured a share of about 30 %, all results of new launches by other companies. For the quarter, in terms of market share, Xaomi (12.6) %) was behind Apple (27.4%). The company itself is doing pretty well in its homeland China. But Mi Band 3 wristband seems to be doing well in other regions too. Huawei was not far behind Xaomi, mostly due to the wearables bundled with new phone and product launches. Where FitBit started regrowing due to its Charge 3 and Versa, Samsung smart phones are including wearables to attract customers. In comparison with Apple’s 16.2 million wearables, Samsung shipped about 4 million in the fourth quarter of 2018!